Downward dog! Sunrise salutation! Lotus position! Most of us are familiar with those yoga terms, but are you really familiar with yoga? Maybe you need to join the Karma Tribe. On Saturday, Sept. 12 at 6 p.m., there will be an Open House at the studio’s beautiful location at 2001 Grand Blvd. - the historic Firestone Building. 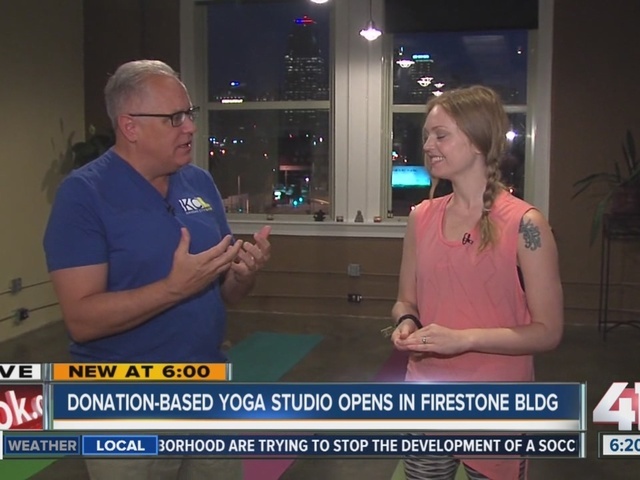 Teacher Lauren Leduc wants to make yoga accessible to everyone by offering her classes on a donation basis seven days a week, starting next Monday. Leduc says the art of yoga helps people physically, mentally and emotionally. The first step is to breathe deeply and properly. Then, over time, more moves and poses are added. 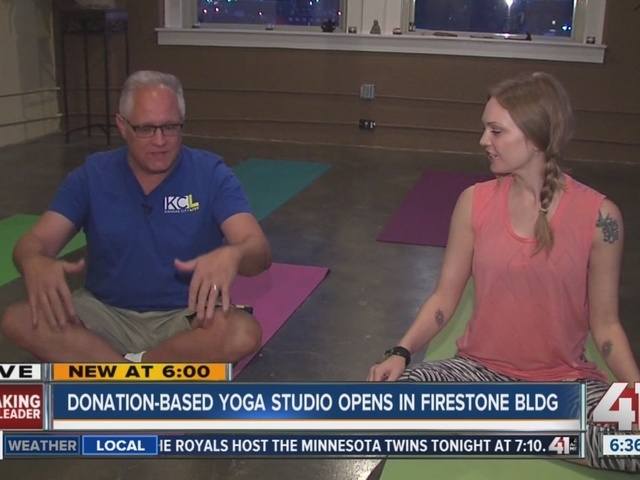 Classes will be held each Tuesday at 6 p.m.
After successfully holding donation-based yoga classes in many beautiful, visible and unexpected outdoor locations, Leduc wished to find a permanent home for accessible yoga education. With skyline views in one of KC’s most innovative neighborhoods, the 2001 Grand space is the perfect location to fulfill this dream. On Wednesday morning, she showed a true novice a few simple moves. If this guy can do it, anyone can! Check out the videos above to learn more!